It was an early spring morning as I made my way to Baker Street in response to an urgent telegram from my old friend, Sherlock Holmes. The last wisps of fog were burning off in the pale sunshine and I felt a renewed strength of vigour as I inhaled the clean air that returns to the great city each year when winter recedes. My medical practice was also receding, however, as the annual round of winter coughs and wheezes gave way to simple summer sneezes. I was ready for an adventure and hoped that Holmes was about to provide one. Little did I know that I was soon to be plunged into a horror blacker than the darkest nightmare. ….“Ah, Watson, you’re here at last!” Holmes cried, as I was ushered into his room by the small maidservant employed by the landlady of the house, Mrs Hudson. This little scrap of humanity answered to the name of Agnes. Mrs Hudson had taken her from the orphanage where she had spent her first years. Her story was the age-old one – her mother, little more than a child herself, tempted into error by a worldly man and then abandoned when he proved unwilling to pay the price of his pleasure. Shunned by family and friends, the woman’s grasp on life became ever more tenuous until she gave her last remaining strength to this, her daughter, and died without revealing the name of the child’s only living relation, the cruel and unfeeling father. God forgive her, and all other simple, loving women who fall from grace under the blandishments of a careless seducer. ….“You have a case, Holmes?” I inquired. ….I followed in some astonishment as Holmes led the way down the back stairs of the house to the private quarters of Mrs Hudson. Passing swiftly through the kitchen, we proceeded through the rear door into the small backyard. There, Gregory awaited us with a pair of rather bored looking constables. As Gregory moved to one side, I suddenly saw, at the entrance to the coal bunker, a man lying sprawled on the ground, clearly dead! 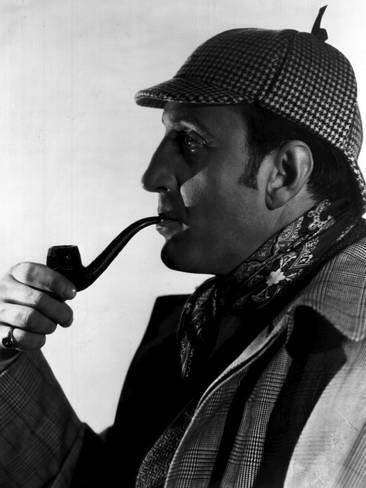 ….Holmes took the worn and yellowed leaf from his hand and passed it to me, requesting I read it aloud. ….I wiped a surreptitious tear from my eye. “Why, the fellow is obviously a complete reprobate! One can’t but feel that his sordid end is a just reward!”…. Holmes was thoughtful over lunch – soup followed by pork chops. I was a little disappointed that the soup, though delicious, was vegetable: in the years when Holmes and I roomed together here, Mrs Hudson had always given us a hearty mutton broth on Thursdays. As we drank our coffee, Holmes lighted his pipe and lay back in his old wing-chair, eyes closed and fingertips pressed together. I knew better than to disturb him so caught up on the news in The Daily Telegraph – Moriarty’s Madam had won the 3.30 at Epsom, giving my bank balance a much-needed boost. ….Suddenly, “Come, Watson!” Holmes cried, striding purposefully from the room. I followed after him, rather wishing I had brought my trusty service revolver along. Down to the kitchen we went, and entered to find Mrs Hudson and young Agnes just sitting down to their own lunch. I sniffed – mutton broth? I was somewhat annoyed, but reminded myself we had serious business on hand. ….Holmes, taking in the scene in an instant, took two long strides to the table, dashed from her hand the spoon Agnes was raising to her lips, lifted her soup-plate and emptied it into the kitchen sink! Poor Agnes began to sob and I rushed over in case she should swoon. But then I noticed that Mrs Hudson had paled to a dull grayish colour and her whole body was trembling like one of her own blancmanges. ….Baffled, I waited till the girl had left the room and then demanded to know what Holmes had meant by it. ….I gasped and took a quick drink of brandy to steady my nerves. “But Holmes, how? And in God’s name, man, why?” Mrs Hudson had buried her head in her hands and was sobbing piteously. Holmes gently patted her knee. “Hush, Mrs Hudson, leave it to me and all will yet be well,” he said kindly. ….Turning to me, he continued. “You see, Watson, some years ago as we shared a Christmas sherry, Mrs Hudson told me that she was not a widow as we had always believed. In fact, she never married. This – reprobate, I think you called him, and a fine word it is to describe him – once told her he loved her, and with the innocence of youth Mrs Hudson – Ada – gave him all a woman has to give: her love and her trust. Having ruined her, this heartless brute then deserted her and went off to Australia. 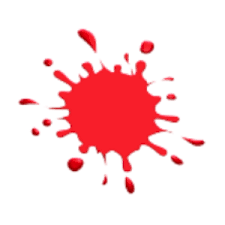 Poor Ada gave birth to their child, but it was a sickly little thing, and soon left this world for a better one. ….I shuddered, and felt thankful after all that we had been served the vegetable soup. “As always, Holmes, you have tempered justice with mercy.” As I raised my brandy to him in salute, I contemplated my good fortune at being able to call this great man my friend. 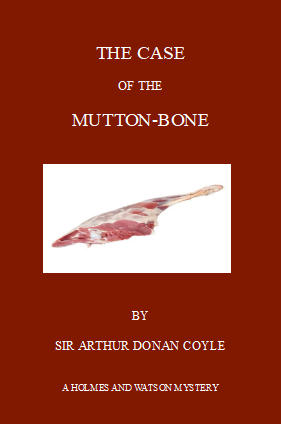 Mrs Hudson in the kitchen with the mutton bone – Cluedo will never be the same. But my favourite is Moriarty’s Madam – i wonder when she is running next? Brilliant! I’m with Watson though, happy to have the veggie soup instead of the mutton on this occasion! An undiscovered treasure from Watson’s deed box? Excellent! No wonder he didn’t publish this one while Mrs Hudson was still alive! Yeah, I’d rather have the vegetable than the mutton as well! (Poor sheep!) I really enjoyed this, FF! wait I don’t think I understand-did you write this yourself FF??? It’s fabulous! Wait, so you did write this??? OMG FF, I’m so impressed! Actually, so impressed. What else have you written? Ha – if you do, I hope you enjoy it! You are extremely freaking talented – and veggie soup all the way! Brilliant FF 😀 I think my favourite line was “God forgive her, and all other simple, loving women who fall from grace under the blandishments of a careless seducer.” Just wonderful! I’m reeling from this expanded backstory for Mrs Hudson though – who knew?! Haha – thank you! Glad you enjoyed it! 😀 Yes, I think that line shows my misspent youth – way too much time reading Victorian writers and not enough spent on my maths homework… 😉 Mrs Hudson turned out to be a bit of a dark horse, didn’t she?? The respectable ones are always the worst. This was wonderful! Kudos, FF! Love it! You’ve made a lot of us smile FF. Thanks for sharing your wonderful imaginings and writing.